Materials Chemistry 2019 is a Scientific Conference which includes keynote addresses, general oral presentation sessions, panel discussions from specialists of Materials Engineering, Biomaterials, Nanomaterials, Electronics, Photonics, Physics, Chemistry, Polymers and other partnered arenas of Materials Science. Material Chemistry Conferences welcomes chemical professionals, researchers, professors, scientific communities, delegates, students, business professionals and executives from all over the world to attend the “International Conference on Materials Chemistry” which is to be held during August 05-06, 2019 at Singapore with the theme Explore the possibilities in Materials Chemistry. The aim of the conference is to provide a platform to Academicians, Researchers, Scientists, Industrial Professionals and students to unveil their research work and create a forum for effective sharing of ideas to face the future global challenges from the perspective of rising trends in engineering and technology. 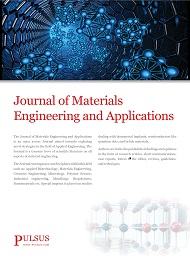 Materials Chemistry 2019 highlight the ever increasing and basic need to energize creative engineering solutions with potential for worldwide reach. This would be a wonderful opportunity for networking and will cultivate everlasting friendship among fellow partners. The entire world is focused on learning about Material Chemistry and its benefits, so this is the best opportunity to reach largest meeting of participants from the Materials Chemistry Research community. Distribute information, conduct presentations and meet with current and potential scientists. Make a splash with new researches and its developments in this 2-day event at Materials Chemistry 2019 conference. World-renowned speakers, recent techniques, developments, advancements and newest updates in Materials Chemistry are major parts of this conference. · To hold awards to enhance research and developmental activity in the area of Materials Science. · To function and co-operate with other like-minded national and International organizations and use their good offices for furthering the objects of the society and serve the community at large. · To encourage and assist the professionals engaged in the Materials Science to maintain the integrity and competence of the profession and foster a sense of partnership among them. · To design, develop, market, purchase, sell, import and export any products or materials of Materials Science, Engineering, Biomaterials, Nanomaterials and other fields related to Materials Science. Singapore is much more than the sum of its numerous attractions. It’s constantly evolving, reinventing, and reimagining itself, with people who are passionate about creating new possibilities. A crowded, yet safe and efficient city state, Singapore is one of the four “Asian Tiger” economies, along with South Korea, Hong Kong and Taiwan, a group known for enjoying rapid economic growth in the second half of the twentieth century. This fast development and prosperity have also given Singapore a population density among the world’s highest, with the allure of such a strident economy and the ease of doing business proving hard to resist for many immigrants. It is also known for its cleanliness – famously, you aren’t allowed to chew gum in Singapore, to ensure none ends up on the pavements – as well as for its punctual public transport and clear roads filled with gleaming automobiles, for which time-limited certificates of entitlement must be purchased. Singapore also has very strict laws against drug use, leading to one of the lowest rates of drug use in the world. Singapore’s science and technology transformation over 50 years mirrors her remarkable leap from survival to excellence. Fifty years ago, technology served a functional role, today it is the central engine powering an ambitious economy. Singapore’s water technology, port management capability and petrochemical ecosystem are noteworthy. With the increasingly competitive global technology landscape, it is crucial that Singapore has developed in Scientific research also. Environmental and Water Technologies sector and the Interactive and Digital Media sector were identified as rapid growth areas for development. World Congress on Chemistry and Research Advancements, June 17-18, 2019, Rome, Italy; 4th International Conference on Innovative and Smart Materials, February 27-28, 2019, Berlin, Germany; 5th International Conference on Advanced Material Research and Nanotechnology, November 04-05, 2019, Tokyo, Japan; 2nd International Conference on Materials Science and Materials Chemistry, March 20-21, 2019, London, United Kingdom; 5th International Conference on Chemistry, April 24-25, 2019, Rome, Italy; 19th Global Chemistry Conference, March 20-21, 2019, New York, USA. American Chemical Society, American Association for Clinical Chemistry, American Crystallographic Association, Canadian Society for Chemical Technology, Association of the Chemical Profession of Ontario, Chemical Society, Italian Chemical Society, Royal Netherlands Chemical Society, Canadian Society for Chemical Technology. 4th International Conference on Innovative and Smart Materials, February 27-28, 2019, Berlin, Germany; World Congress on Chemistry and Research Advancements, June 17-18, 2019, Rome, Italy; 5th International Conference on Advanced Material Research and Nanotechnology, November 04-05, 2019, Tokyo, Japan; 2nd International Conference on Materials Science and Materials Chemistry, March 20-21, 2019, London, United Kingdom; 2nd European Congress on Advanced Chemistry, May 09-10, 2019, Stockholm, Sweden; 9th World Congress on Chemistry and Medicinal Chemistry, May 13-14, 2019, Prague, Czech Republic. 5th International Conference on Advanced Material Research and Nanotechnology, November 04-05, 2019, Tokyo, Japan; World Congress on Chemistry and Research Advancements, June 17-18, 2019, Rome, Italy, London, UK, 4th International Conference on Innovative and Smart Materials, February 27-28, 2019, Berlin, Germany; 2nd European Congress on Advanced Chemistry, May 09-10, 2019, Stockholm, Sweden; 2nd International Conference on Materials Science and Materials Chemistry, March 20-21, 2019, London, United Kingdom; 10th International Conference on Chemistry, May 09-10, 2019, Amsterdam, Netherlands. Materials Chemistry conference, Materials Chemistry 2019, Materials Chemistry Congress, Singapore Materials Chemistry, Materials Conference, Materials Science Conference. Singapore Chemical Industry Council, National Research Council National Research Council, Fraunhofer Society, Norwegian Chemical Society, Royal Dutch Chemistry Association, International Polymer Colloid Group (IPCG), American Chemical Society, American Association for Clinical Chemistry, American Crystallographic Association. The concept of rational design of materials with novel properties through effective use of computational methodsis an attractive notion. 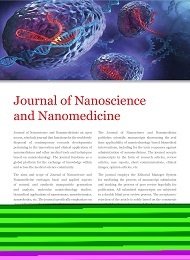 It has the potential to mitigate the costs, risks and time involved in an Edisonian, or “mix-and-match” approach to the preparation and testing of promising new materials and could yield valuable insights into the fundamental mechanisms underlying their behaviour. Moreover, this paradigm for efficiently navigating through the complexities of chemical and physical spaces is an essential ingredient of the Materials Genome Initiative. In order to fully realize the promise for such rational materials design, advanced computational modelling and informatics approaches are required. Materials Chemistry 2019 has incited to the advent of various Nano Materials, Biomaterials, Energy Materials, Ceramic and Composite materials, Surface materials, Defence and Aerospace materials through the innovation in the advancement of material chemistry. This Conference provides a platform to present recent innovations and research results. All the products from renewable to non-renewable, medical devices to artificial tissues, computers to cell phones, and many more are made from materials. Chemistry of the materials played a crucial role in the research of new materials. Lightweight material markets are light to grow from USD 88.5 billion in 2014 to USD 133.1 billion in 2019 at a CAGR of 8.5%. These light materials include the usage of Automotive, Marine and Wind energy.The electroactive polymers were estimated to increase from USD 3.26 billion in 2016 to USD 5.12 billion in 2022 at a CAGR of 7.9%. Plastics are estimated to increase from USD 340.99 billion in 2016 estimated to accomplish USD 493.74 billion in 2022 at a CAGR of 6%. 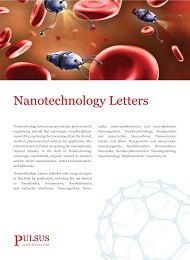 Nanomaterial markets estimated to grow from USD 14,741.6 million in 2015 to USD 55,016 million in 2022 at a CAGR of 20.7%. Biomaterials markets have increased from USD 70.90 billion in 2016 to USD 149.17 billion by 2021 at a CAGR of 16%.3D Printing material markets are expected to reach USD 1,871 million by 2022 at a CAGR of 18.3%. Polymers are mostly used for printing. Asian and the Middle East chemical industries are likely to grow by 3% on an average in the next 20 years. Asia alone holds two-thirds of the market by 2030. Growth in Europe is expected to be moderate at just 1% which results in loss of 30% jobs in the European chemical industry by 2030. The current competitive environment suggests that European companies are well positioned in their home markets but not in the global markets.